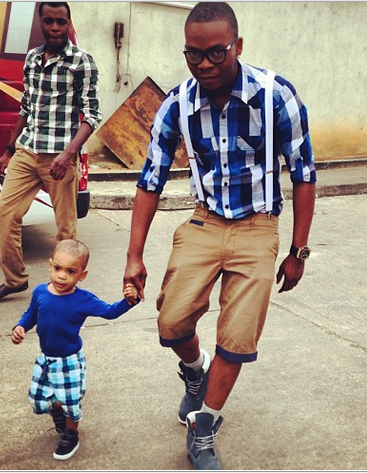 Rapper Olamide who is obviously getting ready to become a father was recently spotted with the adorable son of star dancer Kaffy. 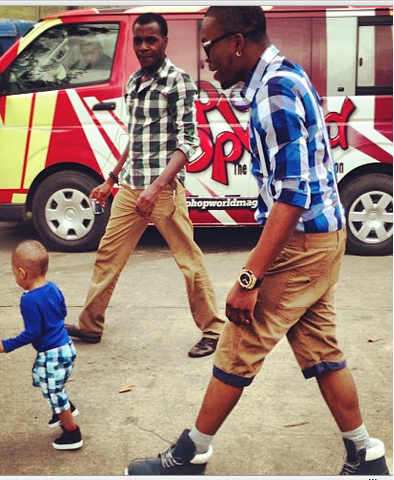 The baddo rapper was caught by paparazzi camera as he took the adorable boy for a professional walk. The two seem to have something in common and it’s their lovely coordinated outfit. YBNL, nice one.. i like u alot..
baddoly omo iko,ur head dey dere..chars 4 dose who c u but dey don’t want 2 halla. nice out fit,,baddoly oya to si awon to make chicken change ti won fi oshi se swaggar.